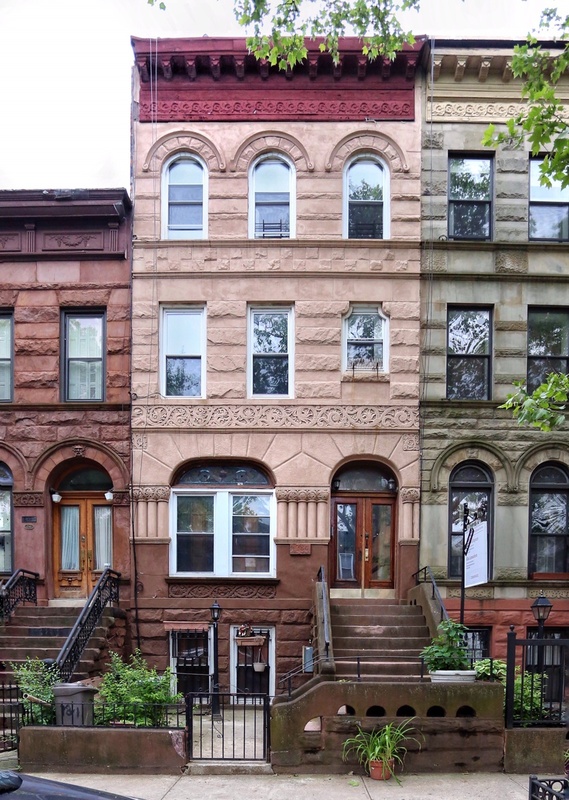 This exquisite four story, three family brownstone which has nsbeen thoughtfully renovated retains many of it's original features while incorporating a modern flair. This property coists of a two bedroom, two bathroom owner's duplex, as well as two 2 bedroom apartments and an unfinished basement. The owner's duplex makes use of a modern open floor plan, with a kitchen that features stainless steel appliances, opening into the living and dining area, as well as a mudroom that leads out to a fully built-out custom backyard with a bricked grill. Some of the original features that the property incorporates are five decorative fireplaces, exposed brick, original crown moldings and pocket doors as well as beautifully preserved woodwork. This is truly a one of a kind gem.